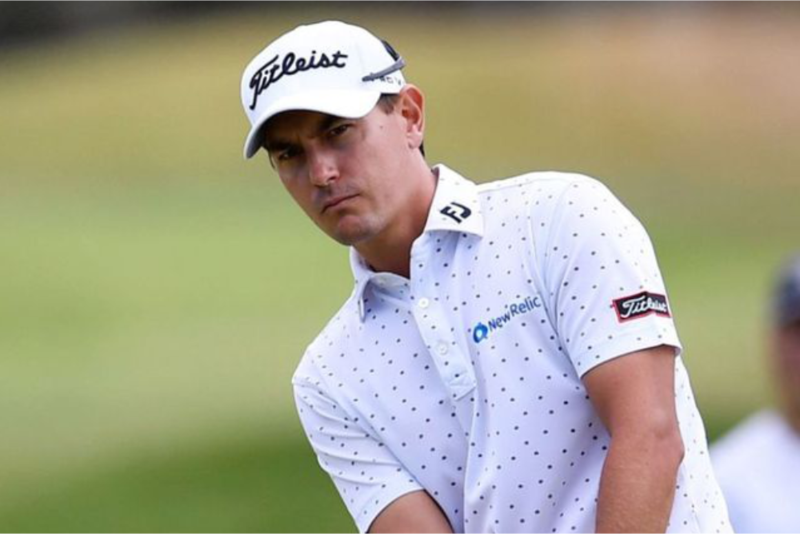 Scrivener has three top tens from four events so far in the 2019 Race to Dubai, and he continued his excellent start to the season as he stayed bogey-free with a second-round 66 to get to 14 under par and set the pace at the end of the morning session. He was then joined by overnight leader Flanagan, who followed up a ten under par 62 with a second round 68 on the Beach course. He had earlier moved into a slender lead before dropping his only shot of the day on the 16th hole to take a share of the lead with Scrivener, one shot ahead of countryman Wade Ormsby. The innovative ISPS Handa Vic Open is making its first appearance on the Race to Dubai, with men and women playing over the same layouts in separate tournaments for equal prize money. The two fields of 156 players have teed off in alternating groups over the Beach and Creek courses in the first two rounds, with the action now set to take place on the Beach layout after the second round cut. Matt Jager and Brad Kennedy round off an all-Australian top five at 12 under par at the half way point in the men’s event, while Clément Sordet of France, Scot David Law and another Australian in Nick Cullen are one shot further back. Northern Ireland’s David Hoey, Kiwi Ryan Fox and Grant Forrest of Scotland are among a group of seven players at ten under par. The men’s tournament at the Barwon Heads venue is co-sanctioned by the European Tour and the ISPS Handa PGA Tour of Australasia, while the women’s championship is co-sanctioned by Australian Ladies Professional Golf and the Ladies Professional Golf Association. Kim Kaufman of the United States holds a two-shot lead over Japan’s Haru Nomura in the women’s event, after back-to-back rounds of 66 took her to 13 under par. of my game. I’m probably happier with today’s round considering it was backing up that 62. “The last three or four holes it got a little tricky, and from what I’ve seen in the weather report it’s going to be blowing another 10 or 15 kilometres stronger tomorrow. It definitely makes a couple of holes really tricky and anybody that can keep it on the ground a little quicker over the weekend is going to do well. “Two solid days’ work. Can’t really fault it. I played nicely, so look forward to the weekend. Knowing there’s a lot of birdies out there, if you try to rush them you can make mistakes, so it’s just plodding your way around and being smart about it. “It’s nice to come back to Australia and a European Tour event and get myself in the hunt, so I’m close enough with this to give them a bit of a run on the weekend. “You’ve got to look at the positives. It just played a bit tougher towards the end. Nice up and down on the last so that definitely made me feel a bit better about the last five holes.